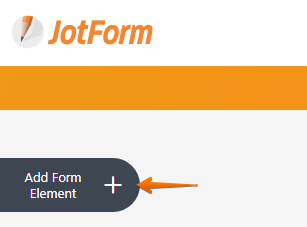 Aside from Paypal Standard, JotForm also integrates with Paypal Payments Pro or Paypal Pro. Paypal Pro enables you to accept both debit and credit cards directly from the form as well as payments from your Paypal account. These payments can be immediate or authorized for later capture; they can also be recurring payments depending on your configuration. 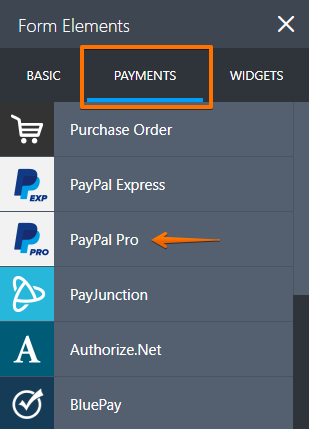 Paypal Pro requires Business Type Paypal account. Paypal Pro is only available in US, Canada, and United Kingdom. 3. 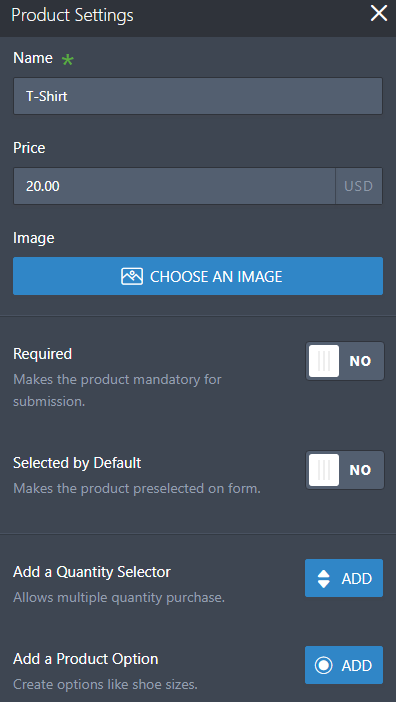 Enter your Paypal Pro API credentials. 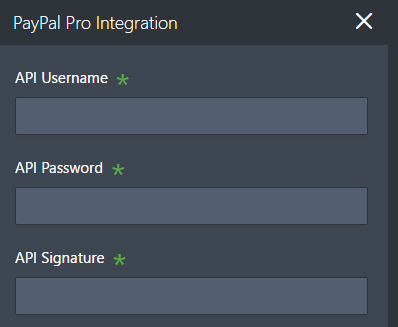 Click here to get one, then enter them in the PayPal Pro Integration settings. 4. 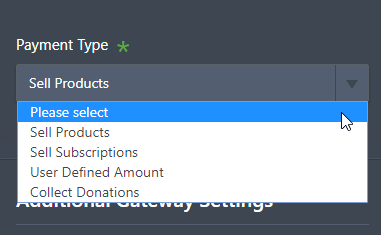 Choose whether you want to sell products, sell subscriptions, collect custom amount or collect donations. 5. 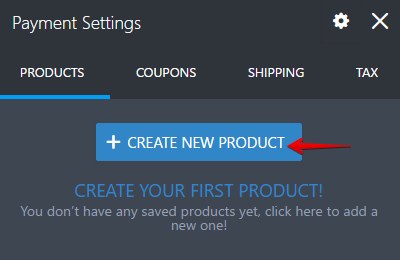 Assuming that you want to sell products, the next page will show you how to create a product. It is pretty straightforward. 6. Create as many products as you want, then save the changes. We have guides that tackle about Coupons, Shipping, Tax and Product Options. I've completed all of these steps and it is still not submitting or redirecting to PayPal. Please help!